Compatible replacement grey power cable for Dyson DC14 vacuum cleaners. ..
Genuine Dyson mains cable and plug will fit all vacuum cleaners in the DC14 range. .. Replacement 8 metre length of grey mains cable with moulded plug for replacing the cable on Dyson DC..
Genuine replacement Dyson cable rewind assembly for Dyson DC19, DC20 & DC29 vacuum cleaner mo..
Cable not coming back like it used to? 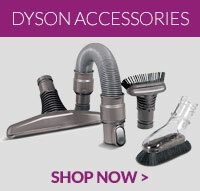 Order this genuine Dyson cable rewind assembly and bring your.. Compatible replacement mains cable complete with plug for Dyson DC25 vacuum cleaners. ..
Genuine Dyson replacement mains cable flex cord for Dyson DC40 model vacuum cleaners. ..
Genuine part to fit Dyson DC33 vacuum cleaners .. This cable kit is a genuine part for select models of Dyson DC01 and DC04 vacuum cleaners .. This power cord is a genuine spare part for select models of Dyson vacuum cleaners .. This is a genuine replacement powercord for your Dyson DC25 vacuum cleaner ..
Genuine spare part that is compatible with Dyson DC27 vacuum cleaners ..
A genuine part, this Dyson yoke loom assembly is designed to fit with selected DC15 vacuum cleaner m..
A genuine part, this Dyson internal cable is designed to fit with selected DC15 vacuum cleaner model..